I highly recommend going to Auto Max KC! They are great with communicating and honest!! Alisha and Alex are good people and they treat their customers like family! 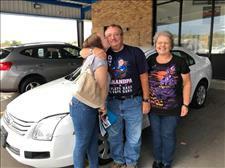 Thank you again this is the best dealership experience I have had. I will definitely will be coming back here. Mike and Alex are AMAZING!! I brought my Mom along with me and Mike made us feel super comfortable! He listened, was patient and not pushy at all. Alex made the dreadful part (signing papers/ financial) comical. Very good personalities, not your average "sales pitch", if you will. 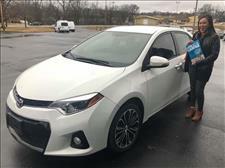 Would highly recommend AutoMax kc! Reputation is everything here! The whole process was quick and painless! All the employees are very kind. Mike especially was a lot of help. 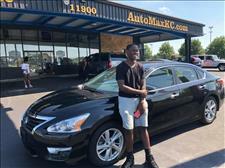 This was my first experience buying a car from a dealership and he thoroughly explained all the documents I signed, as well as making sure I knew exactly what I needed to do once I left there. The car I purchased looks great and runs even better. 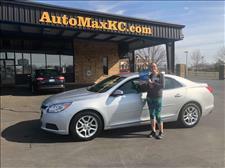 JaiDen Johnson recommends AutoMax kc.